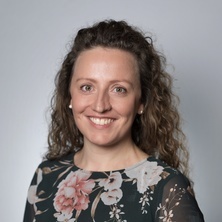 Hannah Thomas is a Postdoctoral Research Fellow at the Queensland Centre for Mental Health Research and an Honorary Research Fellow at the University of Queensland Centre for Clinical Research and School of Public Health. She is a graduate in psychology and completed her PhD on adolescent bullying and cyberbullying. She has significant research experience engaging in school-based mental health projects. Her most significant work has been the development and validation of a self-report questionnaire that measures bullying and cyberbullying behaviour (Bullying and Cyberbullying Scale for Adolescents [BCS-A]). More broadly, Hannah is interested in the prevention of interpersonal violence in childhood and adolescence (e.g., bullying, child maltreatment, domestic violence) as a strategy for reducing mental illness in the population. Thomas, Hannah J., Kelly, Adrian B. and Toumbourou, W. John (2015). Prevention of alcohol-related harm for children and adolescents. In Jennifer Fitzgerald and Gerard J Byrne (Ed. ), Psychosocial dimensions in medicine (pp. 291-304) Melbourne Australia: IP Communications. The Austin Maze: A marker of right temporal lobe function in epilepsy patients? Hannah Thomas (2011). The Austin Maze: A marker of right temporal lobe function in epilepsy patients? Honours Thesis, School of Psychology, The University of Queensland.